It’s starting to get cold here in NY. In fact this morning, the temperature dropped down to about minus 3, and it’s still the beginning of winter! 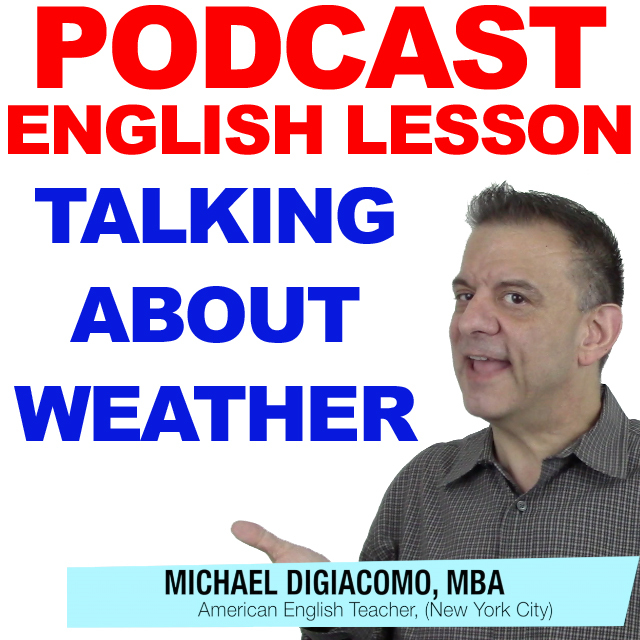 I’ve noticed that a lot of English learners make some common mistakes when talking about the weather, so for today’s English lesson, I’d like to help you out with this rather basic but important English language point. It snows a lot in the winter here. It rained yesterday, so I didn’t go out. It’s snowing! The kids are so excited. If it’s raining tomorrow, I think we should go by train instead of car. There was a lot of snow on the ground this morning. Driving was difficult because of the rain. There was so much rain that the street flooded. Whenever it snows, I have to shovel the snow from the sidewalk. It’s warm today. Why don’t we go to the park? It was chilly all day yesterday. It was cloudy and cold this morning, but it’s sunny this afternoon.